Yup. This week’s been pretty good to me. Not sure if it’s just me, but i notice many of the GBP news don’t really have a significant impact on the GBP/JPY pair except for comments from their central bank and interest rates of course. I understand. I’d definitely encourage you to try to journal it here though. One of the benefits for me personally of displaying my journal here in public is that it subjects me to criticism, which makes it harder for me to take trades that are of poor quality and is basically edge-less. Ultimately though, it is still your preference. Do you read heavily on trading psychology as well? Any good books you think are worth reading? How’s the system going for you? Which pairs do you use that for and what’s your typical stop-loss/target profit? lol sorry for too many questions. I was watching GBP/JPY when the actual figure on the manufacturing production news came out, and I also noticed that it didn’t really move the pair much at all, despite the figure coming out positive. Why that was, I’m not too sure. I guess, as you mentioned, federal fund rates are more likely to move the pair “properly”. Yeah, I understand. I do sometimes publish my analysis on tradingview.com to see what people think, so I’m not entirely secluded from other peoples’ opinions - it’s just that I generally work better when someone is not watching my work as opposed to having someone over my shoulder all the time. Then again, you might very well be right. It might be a step in the right direction, to start a journal on here again. I’ll consider it. I don’t really read much on psychology, I don’t find it too necessary. I’m more focused on learning how the market moves, because the whole thing about trading in the beginning (as a newbie, if you will) is about nothing other than that - learning how the market moves. I don’t obsessively watch my P&L as I’m in a trade. I remove the “accounts” window on my trading station platform to avoid watching my account equity and the only thing I leave on my charts are stop-losses and potentially at what price I entered the market & the limit order. I hide the P&L label to further ensure I don’t obsess over it. I just let the trade run, quite simply. It’s worked well for me from a psychological aspect. Currently I’m reading through “Day trading and swing trading the currency market” by Kathy Lien. So far it’s quite interesting. The first portion of the book is somewhat tedious however, because it’s just a general introduction to the forex market. I’m anticipating the rest of the 2/3’s of the book I have left to be good - I’m already getting into the part of the book that I’m unfamiliar with. Honestly, I don’t really have a set stop-loss like “50 pips on every trade” because to tell you the truth, it varies a lot depending on the pair I’m trading. I adjust my stop-losses & TP areas accordingly to each setup, so it varies quite a bit. However, I mostly look for a 2:1 risk-to-reward ratio on short term swing trades, and a 4:1 risk-to-reward ratio on long term swing trades. I mostly trade GBP/JPY and USD/JPY, but sometimes I’ll move over to pairs like EUR/USD, GBP/USD, USD/CHF and USD/CAD if I spot some nice setups. This is currently what I’m looking at on GBP/JPY and USD/JPY. Cool, let me know if you decide to make a journal here. What’s your opinion on GBP/JPY heading into next week? A retracement to the upside for the short-term? Or a continuous drop to the 178 area? I’ll definitely stay in touch about the journal. My analysis indicates sustained selling pressure in GBP/JPY, potentially down to an 0.618 fibonacci retracement level, which is around the 176.30 area. Mhmm. I see that as well on the daily. let’s see what happens. Have a good trading week, man! Short trade entered at 179.60. SL around 179.16/TP at 180.45. Decided to trade against the current bearish trend. Speculating a short-term upside momentum for the meantime as eager bears enter too early and get taken out of their positions. Looking for at least 2:1 reward/risk ratio. Price hit SL overnight for -44 pips. Long position entered at 179.44. SL was at 179.00. Had no specific target profit. Took the trade early in the morning when i should not have so i don’t really like the trade even though this one closed at profit. I noticed on the 1-hr chart that bulls were able to push price higher during the last 5 minutes and from a clear line of support thus enticing me to enter. Didn’t have screenshots when i opened the position. Anyways, got out at +103 pips. 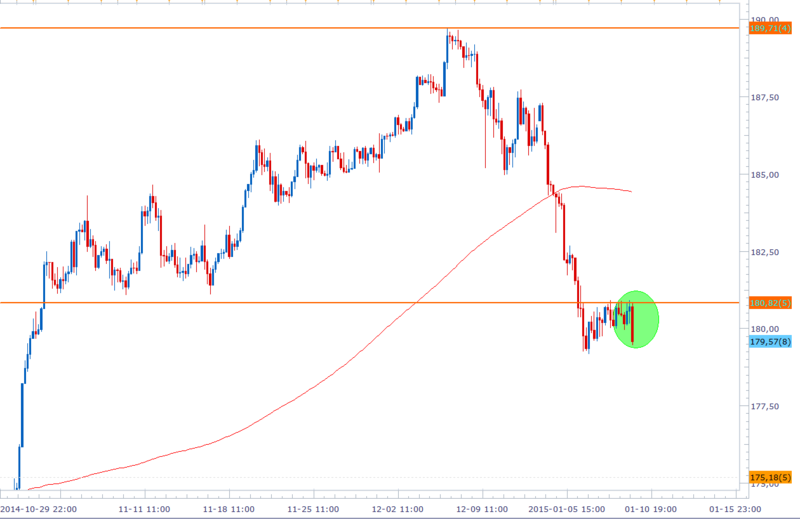 The trade went against me for -5 pips so its a good 1:20 rr ratio. Long position re-entered at 180.15. SL at 179.80/TP at 181.15 for a rough target of 3:1 reward/risk ratio. It’s a possible first higher high/higher low forming. 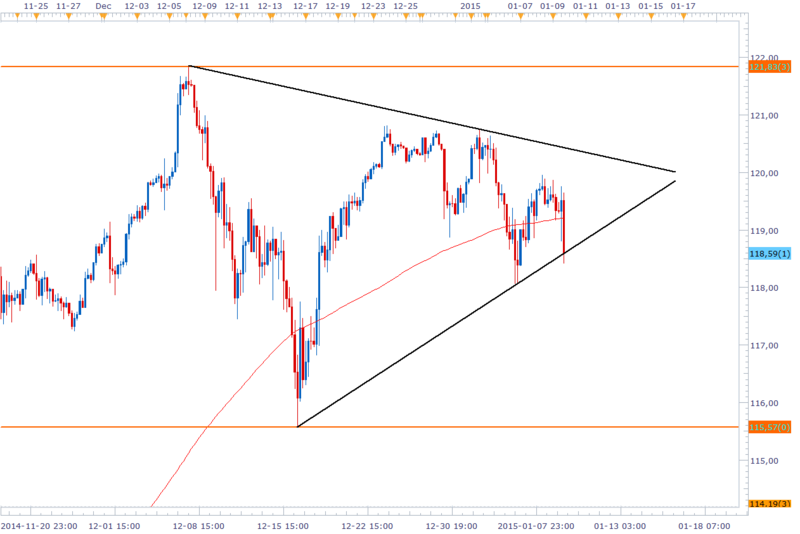 Thinking of widening the stop and target to make it a longer-term trade. It’s only Monday and i am on my third trade already. Should slow done i guess. Price quickly ran my stops over. Got out at -50 pips average. Long position entered at 179.47. SL at 179.12/TP at 180.47. Range trade. entered at third bounce on support level. Added 2 mini lots at 179.35 as price possibly bounces a 4th time within the support area. I added 2 mini lots more in addition to the 2 mini lots that i opened. Mindset still unable to accept losses, especially during a string of losses. Anyways, got out of the trade around 179.42 for +10 pips average. Short position entered at 179.84. SL at 180.15 just a few pips above the last swing high. TP at 178.30. It’s the nearest possible key support i see. Looking for at least 4:1 reward/risk ratio though so i may pull out of the position earlier than planned. I entered the trade because i saw it was a good entry area for another trend-following setup. Also, there was divergence between the CPI news released from UK side and the price action that occurred afterwards. Let’s see if it pays off though. Decided to close all positions for -12 pips. For the first few minutes holding the trade, it went up at +45. Sadly, it reversed on this hour’s candlestick. This changed my view on the pair and where it is potentially headed. Long position entered at 179.94. TP at 180.82 with SL around 179.50. At least 2:1 reward/risk ratio. The last 1-hr bear candlestick looked like a good enough pullback that springs price higher. There’s that resistance channel around 180.00 though. Using 1:15 leverage. Sad day. I reversed my short position earlier to go long and the pair collapsed on me. Got out of the short entry earlier because i was confident it would break higher from the channel. The market has humbled me once again. -89 pips. Shorted at 178.66. SL was set at 178.75/TP at 178.25. TP hit for +47 pips average. Was supposed to be a scalp trade. Turned out better. Scalping has become a bad habit of mine after incurring a huge loss. It worked alright this time, but not sure it’ll be good for my account over the long run. Short position entered @ 178.35. Target profit anywhere between 40-60 pips. Lower growth forecast from the World Bank may open lower lows. Closed all positions manually at 177.95 for +39.8 pips. My account is back to green though i’ve broken my management rules again. Sad day. Must work on patience and timing. Long position entered at average price of 177.21. SL @ 176.85/TP @ 178.00 for a 2:1 reward/risk ratio. Took trade after seeing the bullish engulfing cs on the 1-hr chart. It was countered by an equally large bearish cs, but then the next few cs refused new lows. Also, good risk/reward ratio. All positions closed manually at 178.08. +85.9 pips average. It could go further up, but i figured it was a good profit for the day. Long entered @ 179.31. SL @ 179/TP @ 180 for slightly more than 2:1 reward/risk ratio. Entered on 3rd pullback to the upside. Possible trend reversal. What i am worried about is the downward channel resistance as well as the horizontal resistance from the previous support. Woah! What a plunge that was overnight. Fortunately i had stops on my open positions. Was able to get out at 178.75. -56.7 pips. Long entered at average of 177.75. SL @ 177.12/TP @ 179.00. 1:20 leverage used. I still think the bulls are in control medium-term. The panicking during SNB announcement provided a good re-entry area. Hit pretty hard this week. Still have capital though. Will be away for awhile. Have to cultivate a stronger mindset. Looking at my past trades. I realized that most of my large losses was not due to lack of technical prowess but rather lack of the right mindset. I am looking at charts right now to get some screen time and exp, but i’m thinking the movements are very simple and easy to read not just in hindsight but even in real time. Currently short on GJ @ 179.58 with target at 178 and SL around 180.00. First real trade of the week. Did a few scalps earlier but after BE decided to be serious about my positions. [B]UPDATE:[/B] Closed all positions manually for -5.5 pips. short term trend looks more bullish. Long position on GJ @ 179.60. Targeting 30-40 pips. SL close below the 10-ema on h1 chart. [B]UPDATE:[/B] Closed all positions for +36 pips.